I LOVE me some homemade Jam! I had about 3 lbs of blueberries to make do with after we went pickin’. My blueberry muffins were at the top of the list but making jam was second! I wanted to make blueberry and basil jam but my basil plants were looking rough due to the heat. 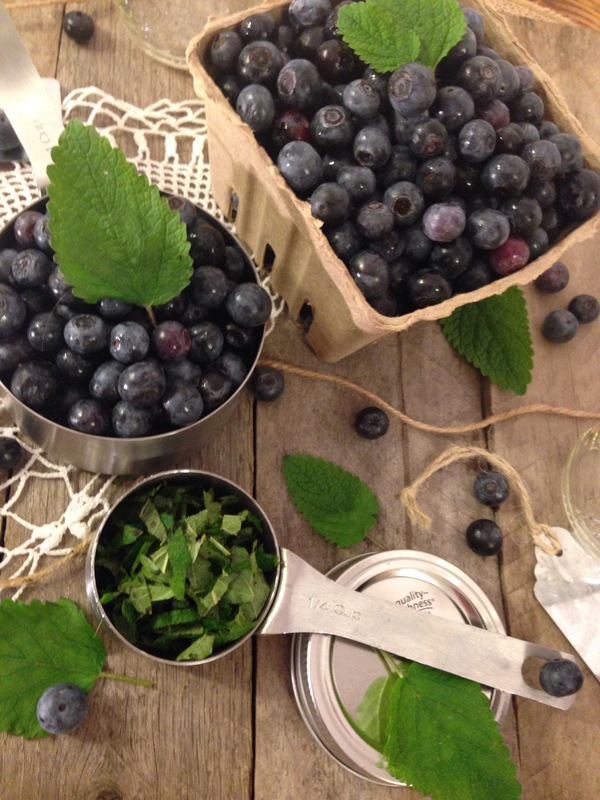 My lemon balm on the other hand was exploding out of its square foot so I thought lemon balm and blueberry jam! Why not? Start by sanitizing your mason jars and lids. I sanitize my lids by bringing a small pot of water to a boil, remove from heat and place the rings and seals into hot water and leave in water until needed. Then I sanitize my jars by bringing my water caner half full of water to a boil and place my jars in there for 15 mins then remove and set aside. Chop lemon balm into small ribbons and cut a small square about 6×6 out of the cheese cloth. Place chopped lemon balm into the center of the square. Bring up four corners of your cheese cloth and tie off with twine. You have now made a bouquet garni! Which is simply a fancy word for herbs tied with twine in a cheese cloth. In a sauce pan mash berries with a potato masher. Add lemon juice to the pan, turn on high heat, add pectin, then stir and add sugar. Continue stirring for about 1 min at a steady boil and don’t stop stirring. Reduce heat to a simmer and add your bouquet garni. Allow to simmer for 20 mins, stirring often so your jam does not burn. Don’t be afraid to mash your bouquet garni into your jam mixture this will help bring out the flavors of the lemon balm. Then remove and dispose of your bouquet garni. 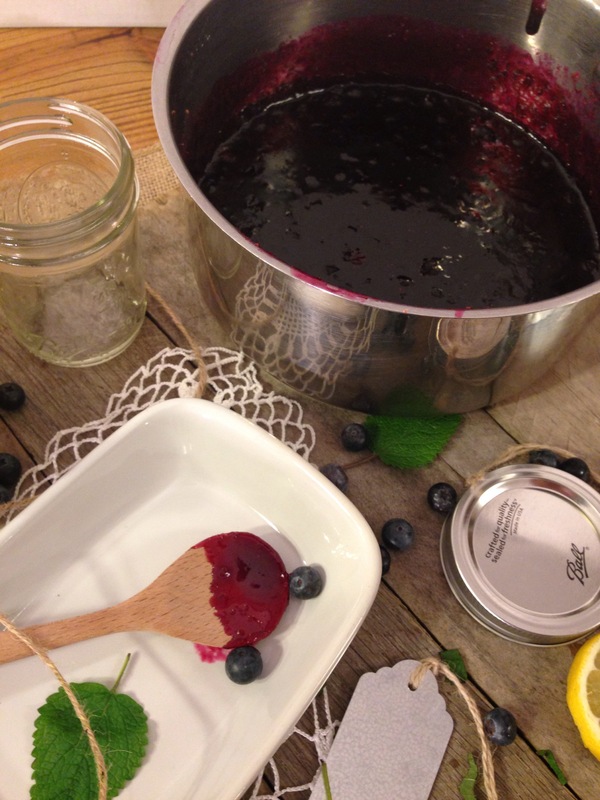 Allow jam to cool in the sauce pan, then ladle jam into mason jars. Bring water in water caner to a boil. 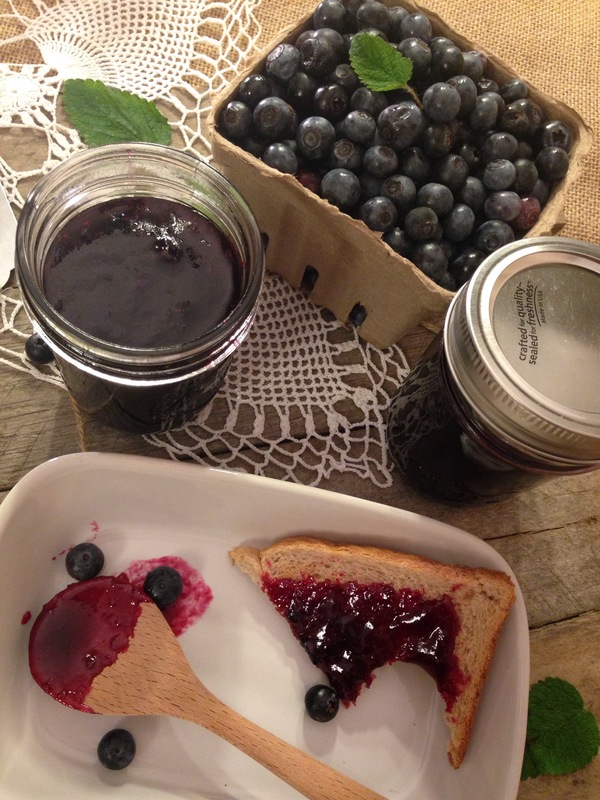 This recipe yields two 8oz mason jars of jam. 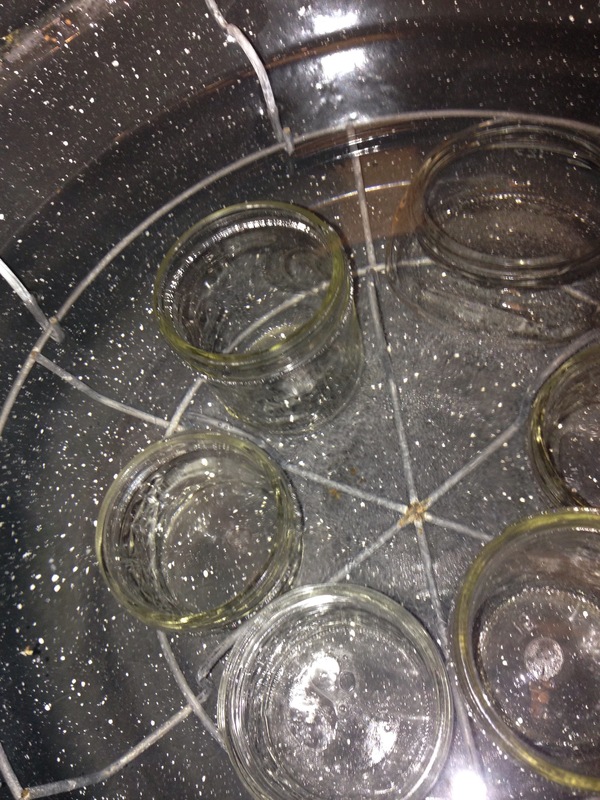 Put the lid on the jars and place into your water caner making sure the whole jar is submerged. Boil for 10 mins then remove jam with jar lifter from caner and allow to set for 24 hours at room temperature. 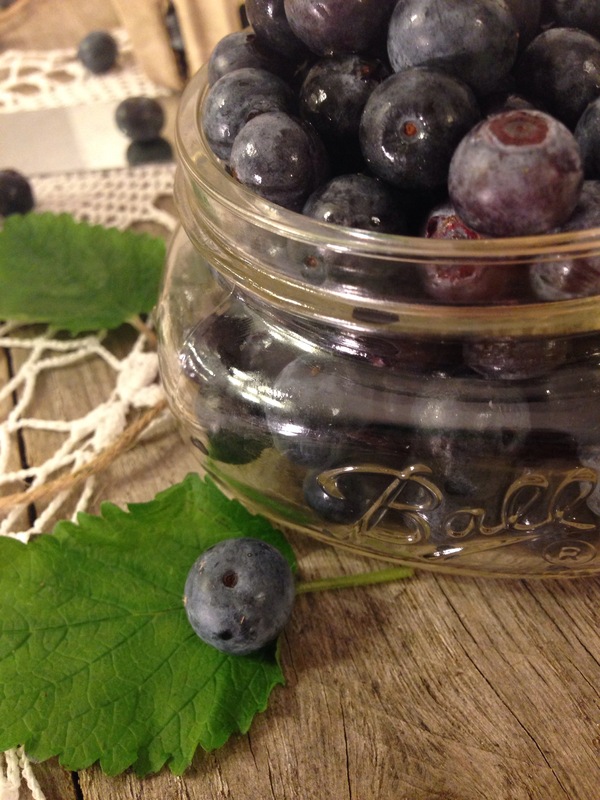 You will normally hear a pop when the jar has sealed correctly but to make sure it has, after 24 hours of setting press on the center of the mason jar lid and it should not move up nor down. If it does move up or down it did not seal correctly and should be stored in the freezer. If you chose not to can this jam it will last in your freezer for about 3 months. 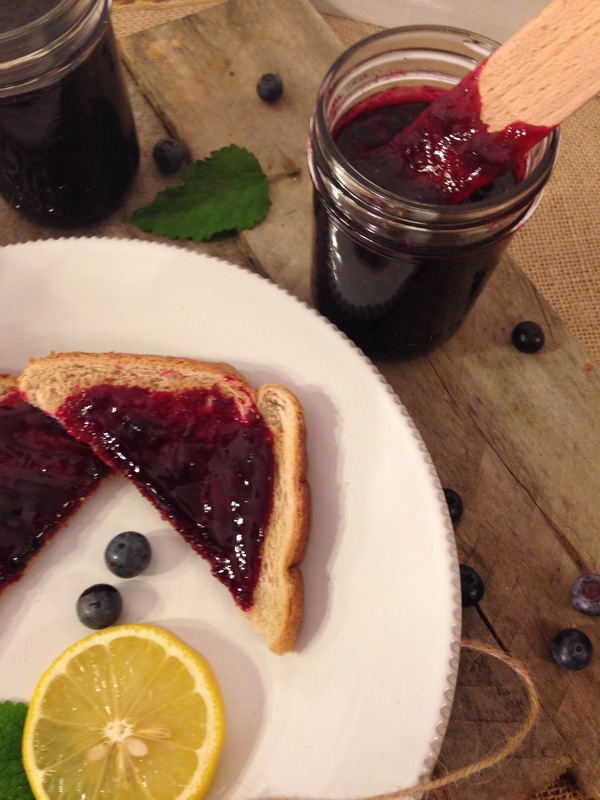 If you do can this jam it will last in your pantry for about a year. 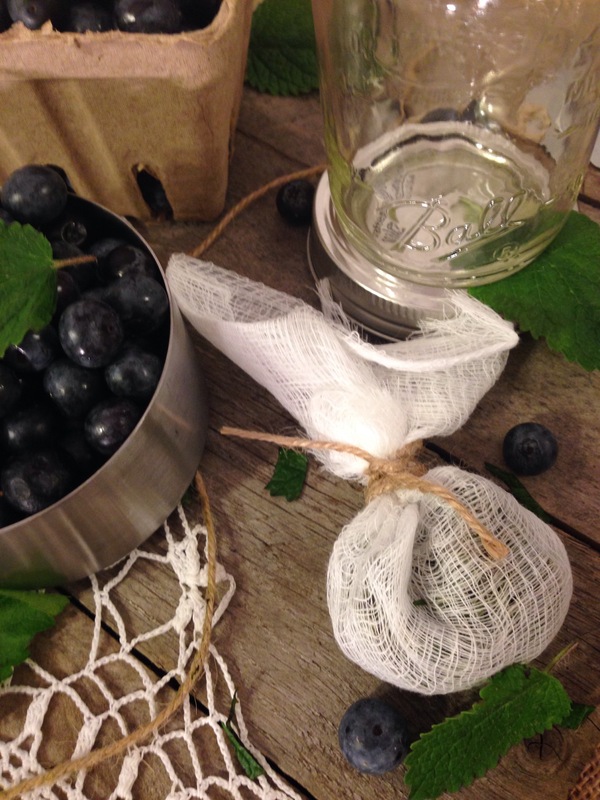 I love preserving our bounty from the garden by canning. It can sit in our pantry and I don’t have to worry if there is enough room in the freezer but if I am on a time crunch, which happens often with two children, freezing jam works out GREAT! 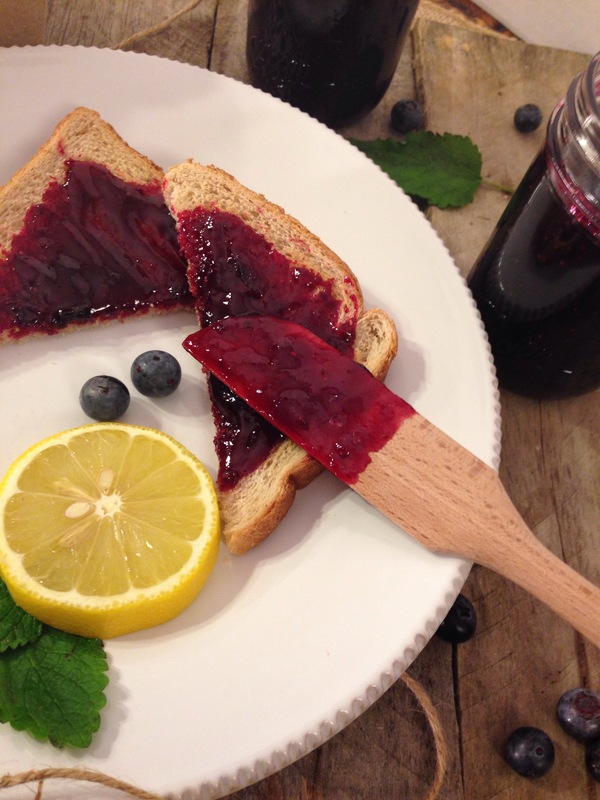 This jam is full of summer flavor! 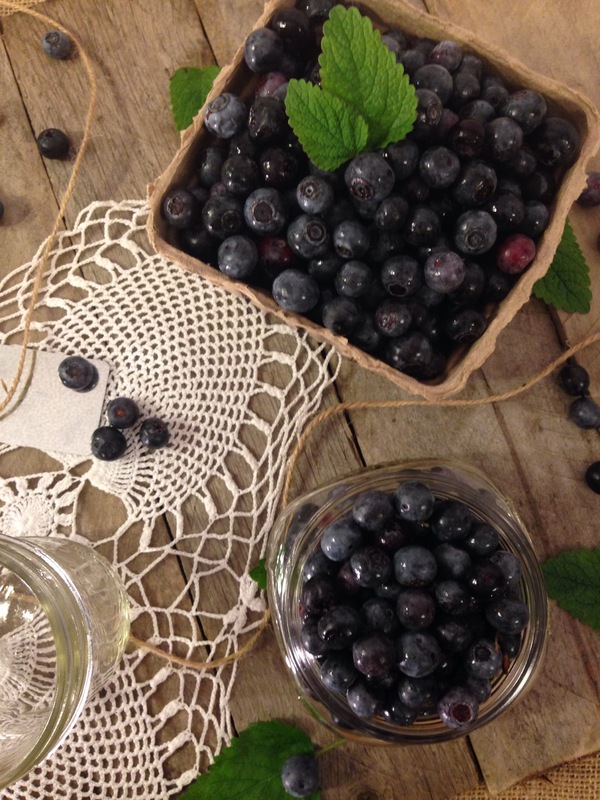 Nothing says summer to me like lemon and blueberries. This recipe allows you to enjoy these fresh flavors in the fall or even the winter. Nothing like being able to experience summer flavors year around! 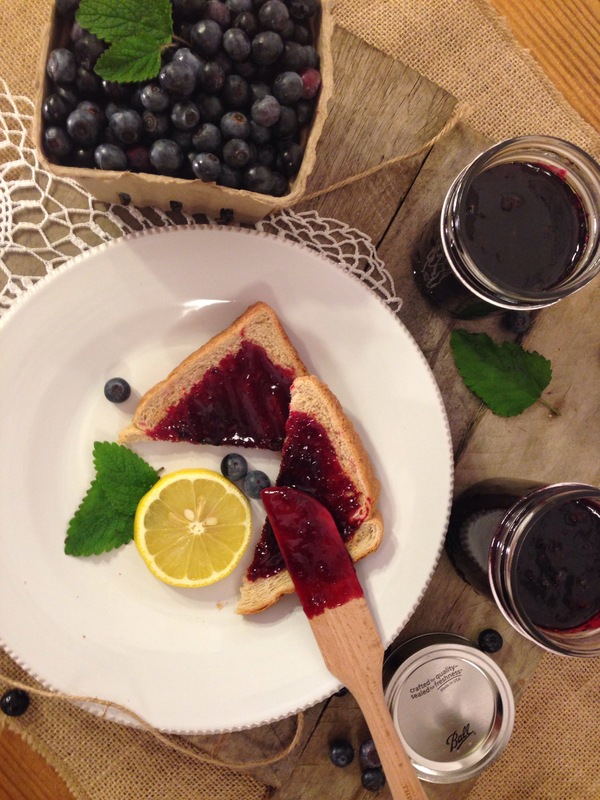 This jam is perfect served on toast, crackers, bagels or scones! Honestly, I have even thought about using this jam in desserts like cheesecakes, pies or to top off some ice cream. 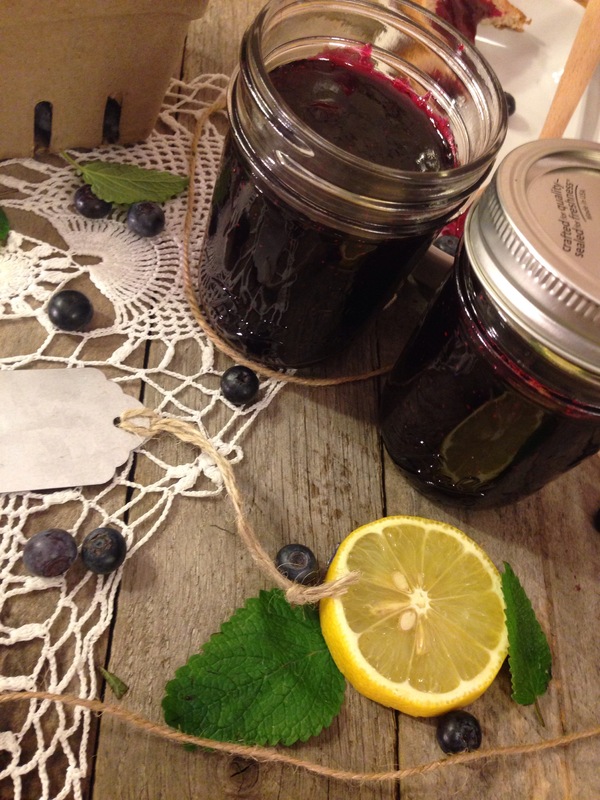 Jams also make wonderful homemade gifts for friends, family and teachers!